Pension reform is Delaware’s biggest fiscal problem | The News Journal | delawareonline.com. Tuesday morning, members of United Steelworkers Local 1190 will travel to Delaware for a U.S. Bankruptcy Court hearing. Local 1190 President Ernie Gambellin said a group of steelworkers are traveling to be part of a hearing that could decide the future of some of RG Steel’s Ohio Valley Plants. Gambellin said Judge Kevin Carey will decide whether to finalize a deal on the Mingo Junction Plant. He and other steelworkers are asking about Mingo Junction Plant’s 20 million dollar sale price offered by Frontier. ” We are going to the court proceedings to show the face of the Ohio Valley through our Steelworkers.” said Gambellin. WTRF.com also spoke with Jim Bouchard of Esmark. Bouchard who purchased the RG Steel Yorkville Plant and fifty percent of Ohio Coatings said there will be another bankruptcy hearing Monday, Aug. 14 . The bids have been tentatively accepted and the hearings would finalize the deal. via Ohio Valley Steelworkers Head to Delaware for Bankruptcy Hearing – WTRF 7 News Sports Weather – Wheeling Steubenville. WILMINGTON, Del. — A few days after the Fourth of July, a police officer here logged onto his Facebook account and offered some advice to his 1,346 friends. “A word to the wise never get drunk and trip off of meds and call a cop a ‘N’ results broken jaw and criminal charges……WPD for life,” wrote Officer Anthony Easterling, who is black. After initially saying the post would only concern him if somebody filed a complaint, police Chief Michael Szczerba reversed course this past week and called for the department’s Office of Professional Standards to review the online message. Szczerba declined to comment further and said he had no information about what prompted Easterling’s post. Other city officials also declined to comment about whether the post was appropriate, citing a lack of knowledge about what inspired it. The city can not release Easterling’s rank or time of service because, under the state’s Law Enforcement Officers’ Bill of Rights, it is prohibited from issuing that information while he is under an internal investigation, said Rich Neumann, communications director for Wilmington Mayor James M. Baker. 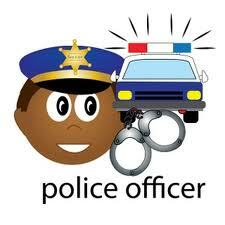 via Officer’s Facebook post sparks uproar | St. Cloud TIMES | sctimes.com. ALEXANDRIA TWP. 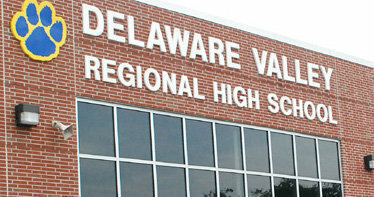 — Fourteen non-union, non-certified staff members could get 2% raises for the 2012-13 school year, under business planned at this evening’s meeting of the Delaware Valley High School Board of Education. The board meets at 7 p.m. in the school library to renew employment contracts and then meets a week from today, on May 21, at the same time and place for other board business. If the raises are approved, salaries for these employees would range from $36,720 for IT level one technician Janet Jordon to $112,138 for transportation supervisor Jeremiah Ford Jr.
Other employees on the list include: information technology manager Matthew Cirigliano, $96,731; systems/network administration coordinator Jeffrey Scott, $84,701; buildings and grounds supervisor Matthew O’Brien would be paid $69,707; transportation mechanic Peter Miller, $64,687 and maintenance manager James Dicheck, $62,424. Board Administrator Daria Wasserbach said that these non-union employees have received 2% raises over the past several years. On July 1, 2011 a contract took effect with the Delaware Valley Regional Administrators Union. It gives administrator members 2% raises for each of three years, eliminated the traditional healthcare plan and put into effect the state law requiring contributions toward health insurance benefits. A union contract that gave 2.6% raises to teachers, secretaries, custodians and instructional aides this year expires on June 30 and negotiations have been going on throughout this school year. Those union members still haven’t paid toward their medical insurance benefits, but will start doing so in July. School board President Ellen Gordon of Milford and members Brett Reina of Holland Township and Bob Haver of Frenchtown are meeting with union officials to negotiate a new contract. Their next meeting is scheduled for May 31.
via Raises for non-union Delaware Valley High School employees on tonight’s school board agenda | NJ.com. WILMINGTON — A group of parents and concerned residents asked the state Attorney General to investigate claims that Lewis Dual Language Elementary School has not adequately involved parents in a plan to improve the school. Concerns include staffing changes at the school and the cooperation of parents as the Red Clay Consolidated School District moves to make changes at the school, one of the state Department of Education’s Partnership Zone Schools. Partnership schools are among the state’s lowest performing, and are getting money from the state’s $119 million Race to the Top grant and technical assistance.